I’ve heard many good things about the Venice Bakery, so when they sent me some samples through the post I couldn’t wait to tear them open and get stuck in! The thing I was probably most excited about was the prospect of trying my first ever flatbread. When Steve and I went on holiday once I remember looking enviously at the flatbreads in the airport and wishing one day I would get to try one. I was skeptical of how they would be – I don’t really ‘get’ the whole vegan thing and generally wouldn’t go for a vegan option, so I wasn’t sure if this would effect the flavour – I am pleased to say these wraps have changed my views! Vaccum packed and freeze-able, these flatbreads come in packs of two and you brush them with a little olive oil and stick them in the oven before eating. The smell that wafted from my oven during that excruciating five-minute wait was amazing – the scent of Italian herbs filled my kitchen and made my mouth water as I prepped the filling for my flatbread. I decided to go for feta, chicken and baby leaves in mine – simple but a great flavour combination to complement the herbs in the bread. When it came out of the oven it was a golden colour, with a crisper texture around the edges which was heavenly to bite into. 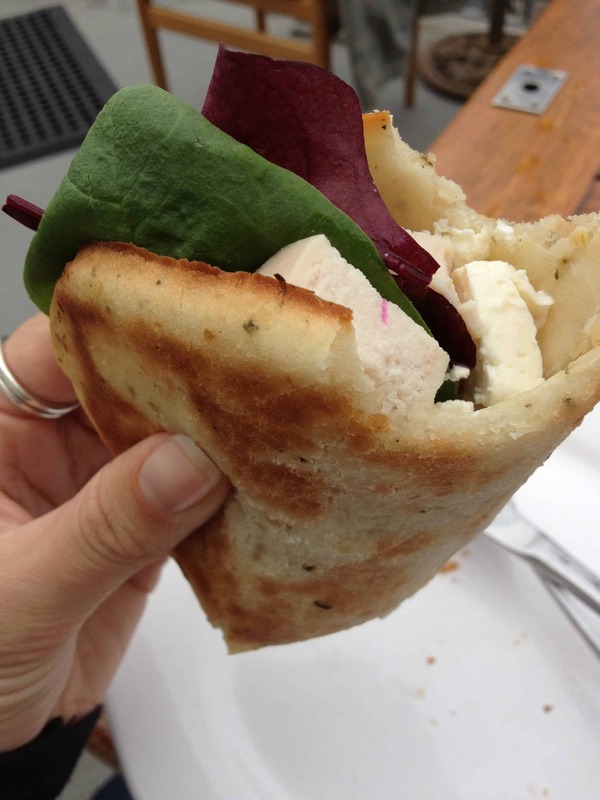 I placed my filling on top and folded the flatbread over to eat it – the cold filling with the soft warm bread was just amazing. I’m honestly struggling to write this now without my mouth watering – I was so happy to find these products – they were absolutely perfect! 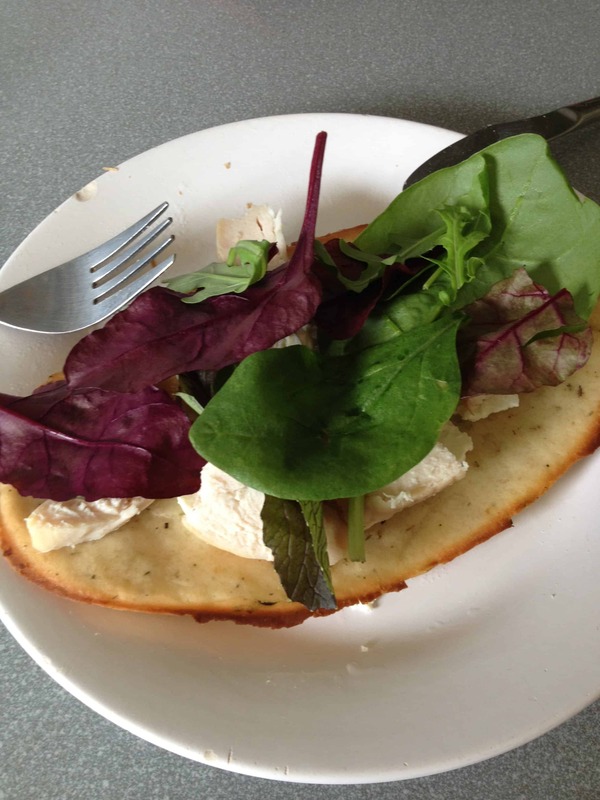 I’m trying my hardest to avoid bread and other such complex carbs at the moment, but I think I may have to order another batch of these soon as they were a great treat – I ate my second one with grilled brie and some sweet chilli sauce – yum! Venice Bakery also sent me some pizza bases to try, but I’ll save that for another blog post as due to moving house, they have had to go in the freezer until I have some time to cook again! For more info visit The Venice Bakery’s UK shop at http://www.venicebakery.co.uk. Have you tried these flatbreads? What’s your favourite gluten free bread product? Previous Post Gluten free weekly meal prep – time to get lean! These look great. Are they available in the UK? The site is American. 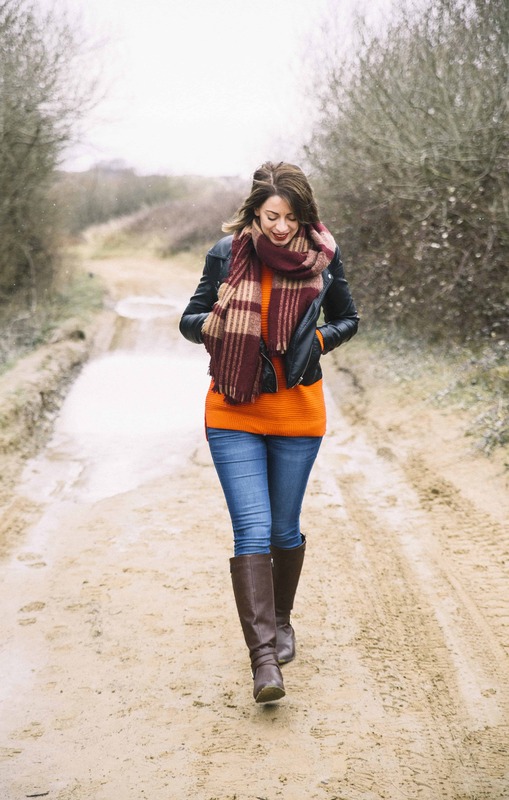 Oops, thought I had changed the links to the UK site but I had missed one! 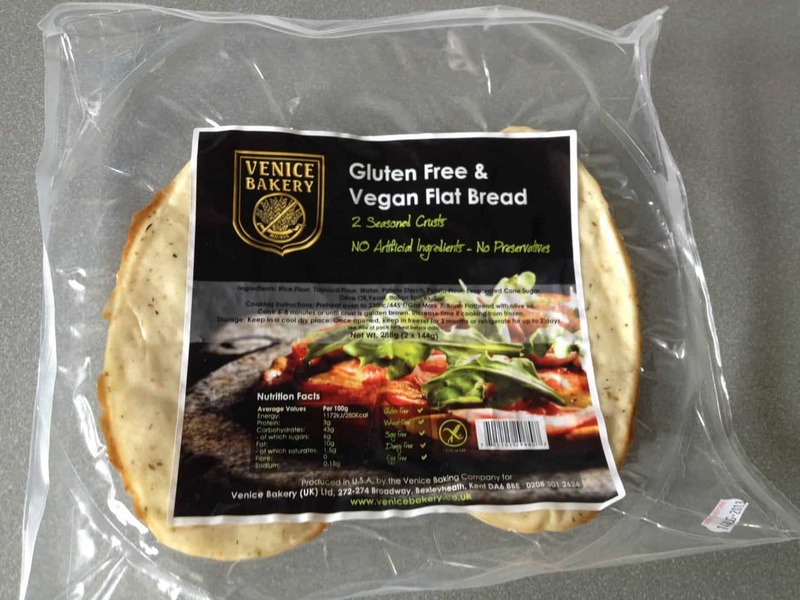 Yep, available in the UK and their site is here: https://venicebakery.co.uk/ – would definitely recommend a try! !